Marlies Craig is a biologist with a PhD in Epidemiology (spatial and temporal distribution of malaria) and a diploma in Adult Education. 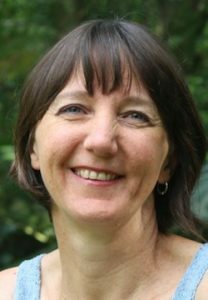 As Principal Investigator of the Mapping Malaria Risk in Africa (MARA) project, she helped create a continental atlas of the disease which would inform malaria burden estimates and guide control operations. She contributed to the US Country Studies Program on Climate Change by exploring potential changes in malaria and bilharzia distribution under future climate scenarios. Marlies worked as a consultant epidemiologist then transitioned into the environmental arena. As a freelance educator, she authored a popular science book on insects, offered public presentations and educational events for children, and started developing a school curriculum enrichment programme to support biology and environmental education. She briefly worked as Research Mentor in the UKZN School of Clinical Medicine before joining the IPCC Working Group II team in Durban. She is afflicted by an incurable form of Biophilia.